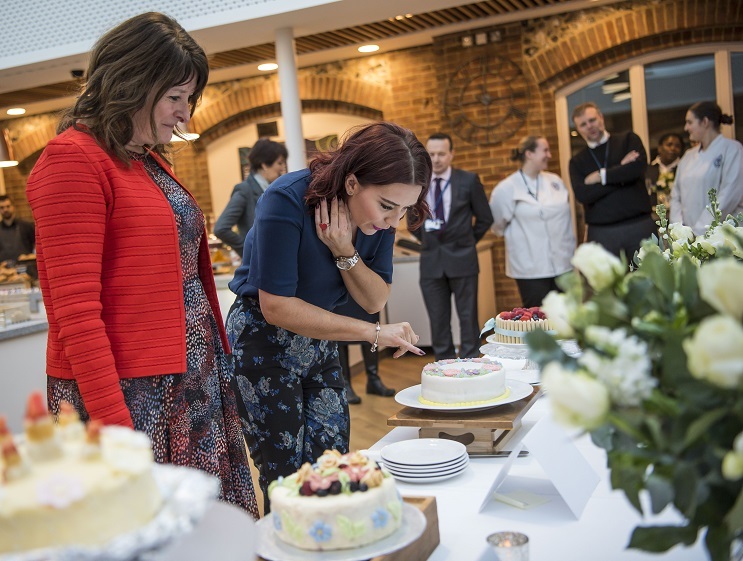 Wycombe Abbey School uncovered one of the best girl schools in the country read our review. 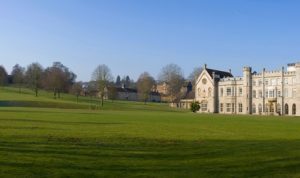 Wycombe Abbey is one of the best known girl’s schools in the country. Topping the league tables year after year with their exceptional academic results, the school receives applicants from all over the world. At Chiltern Relocation we not only help our clients to find homes but we also assist with school searches, providing advice regarding the ethos of different schools, facilities on offer and the admissions process. We heard that a new admissions team was shaking things up at Wycombe Abbey so Chiltern Relocation took a tour of the school and met with the new team to understand what changes are taking place. Traditionally a Wycombe Abbey girl was seen as an academic scholar, often from overseas, way ahead of their years in maths and a talented musician. Although girls like this are welcome, the new admissions department is keen to encourage more rounded girls to apply to reflect the great wealth of opportunities available at the school in sport, drama, art, dance and experiences beyond the classroom – such as worldwide trips and Duke of Edinburgh Awards. They want their girls to excel in the classroom and then go out onto the netball courts or lacrosse pitches and score goals for their school. Our tour started in the impressive entrance hall built by celebrated architect James Wyatt and led on past the lake to the Performing Arts Centre which houses the theatre and inspiring Recital Hall. 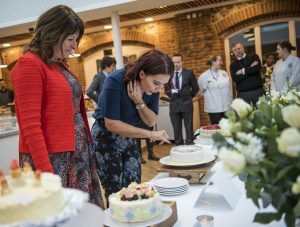 We were impressed by the new café ‘The Courtyard’ – opened by Candice Brown the winner of the 2016 Great British Bake Off – and the light and airy dining hall. The tour led us past the chapel and a number of the boarding houses in addition to a selection of classrooms. 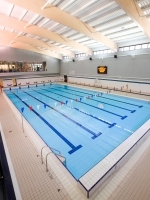 Next was the Davies Sports Centre housing a 25m six-lane swimming pool, sports hall, gymnasium and dance studio, four squash courts, fitness suite and climbing wall. The grounds here are vast and include: five Lacrosse pitches, athletics track, three rounders pitches, a floodlit Astroturf pitch, a full sized football pitch, netball courts and 20 tennis courts. With all these stunning facilities it is no surprise to hear that Wycombe Abbey was placed 5th in country in the Schools Sport Magazine annual league table. In terms of admissions, the main entry point is 11+ with a smaller intake at 13+. 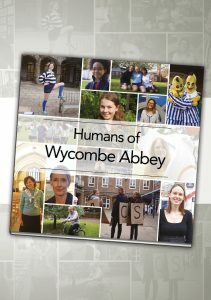 Wycombe Abbey is a boarding school but they do accept a limited number of ‘day boarders’ who live locally. These girls typically join the boarders for breakfast and leave after supper and/or after school activities. Admission at 11+ takes the form of an Assessment Day which includes an online test in a variety of subjects, taking part in a lesson such as science and an interview. Following this process in October, conditional offers will be made subject to Common Entrance Exams in January. Wycombe Abbey attracts a lot of girls from London due to its enviable location. 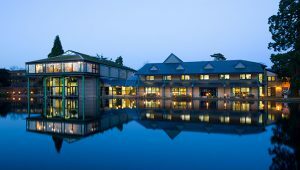 The wide ranging facilities are set in over 160 acres yet just across the road from High Wycombe shopping centre and the train station. 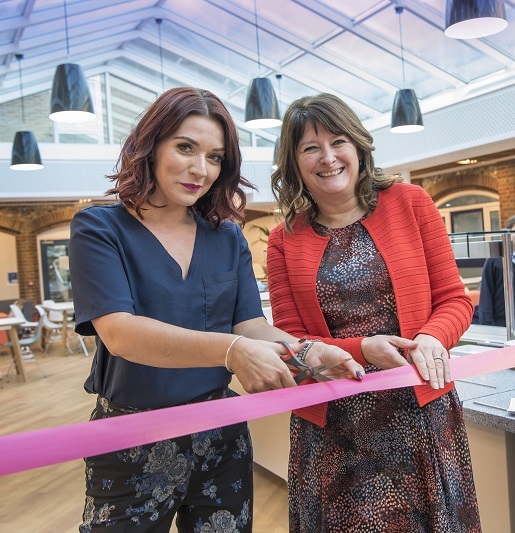 As Head of Admissions, Ms Langdale commented: “we have no issue with traffic here, it is all under one roof and you are essentially buying your child an extra 3 hours a day which could be lost in traffic going from one activity to the next”. Ms Langdale also understands that more children come from homes where both parents are working longer hours and she feels that their enrichment program ensures that the girls are well cared for yet stimulated after school with an enormous choice of activities available. At the weekends the girls can go shopping over the road or in Marlow or Westfield, ice skating, horse riding in Windsor, and enjoy a spa session or a cooking lesson among many other activities. There are also ‘socials’ organised with leading boys schools. Keen to bridge the transition towards university life, Wycombe Abbey has a unique approach to boarding in the Upper Sixth form. At this stage the girls live in cottages and are able to cook their own meals, host dinner parties, order an Ocado shop and they are responsible for their own laundry. All excellent steps to prepare girls for university life. New boarding houses are currently under construction as the current houses are a little tired and they will be converted for school administrative use. As the new houses are further away, new common rooms and ‘flop’ areas will also be created for the girls close to the heart of the school. Wycombe Abbey is also fundraising for a new STEM block (Science, Technology, Maths Engineering) to really cement Wycombe Abbey as a centre of excellence in this area – for girls. 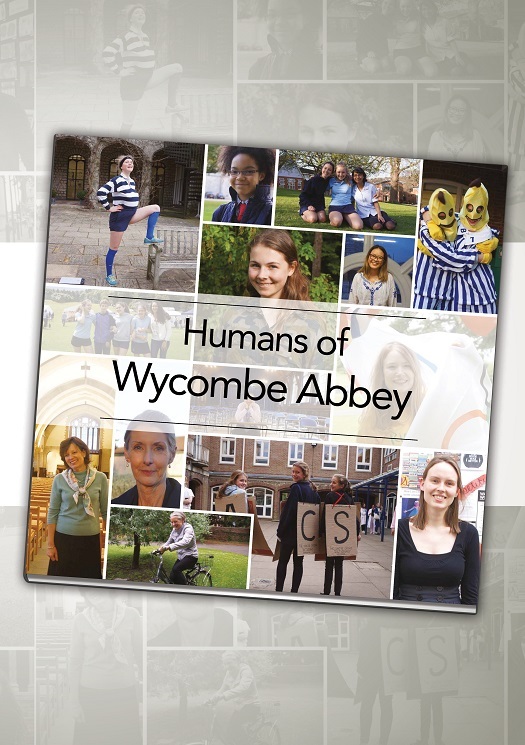 We came away with the distinct impression that if your daughter is bright, keen to learn and interested in life outside the classroom then Wycombe Abbey should be firmly on your radar.